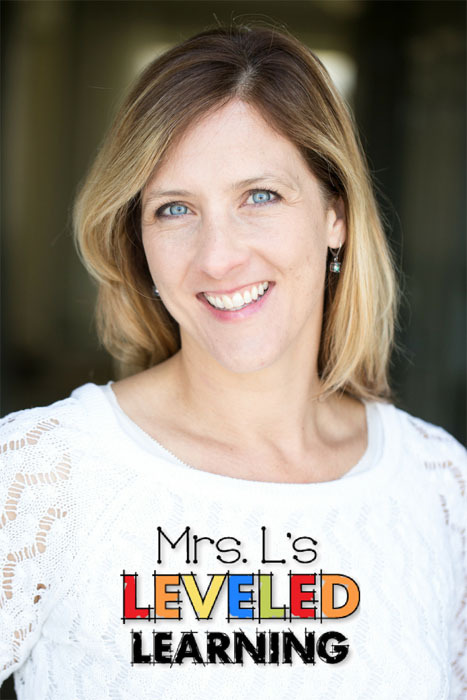 Have you ever felt like as a teacher, you’re doing most of the work to learn, organize, pace, and dispense the curriculum while your students sit back passively waiting for you to tell them what to do? What if your students understood that it was their job to learn and master the content? How on earth would you accomplish this? Engage students with kid-friendly goals and they’ll have access to the curriculum in a way they’ve never had before. 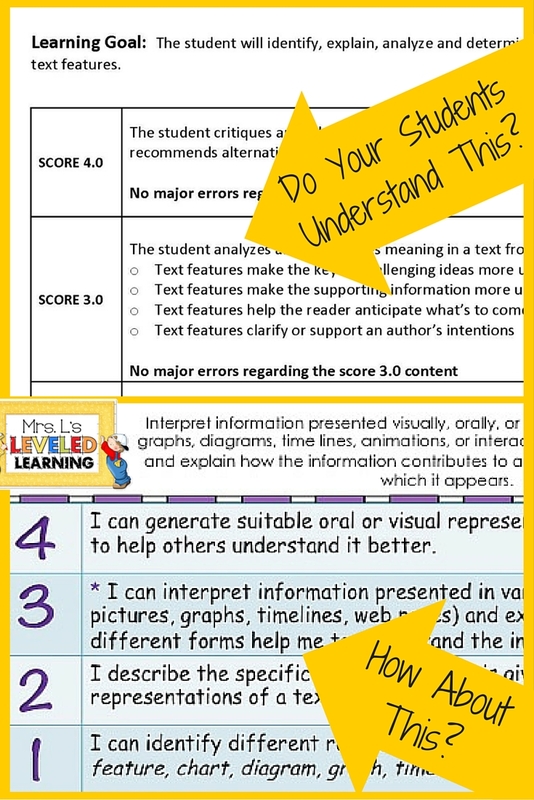 When my district first starting introducing Marzano Scales, I noticed that the examples we were seeing and creating were very detailed and a bit complicated; almost like we were re-writing the standards so we could understand how to break it down into levels. This was a great exercise to help us teach better, but it wasn’t very reader-friendly for students. Score 4: In addition to score 3.0 performance, the student demonstrates in-depth inferences and applications that go beyond what was taught. Score 3.5: In addition to score 3.0 performance, partial success at score 4.0 content. Score 2.5: No major errors or omissions regarding score 2.0 content, and partial success at score 3.0 content. Score 1.5: Partial success at score 2.0 content, and major errors or omissions regarding score 3.0 content. Score 1: With help, partial success at score 2.0 content and score 3.0 content. Score 0: Even with help, the student has no success. What are the chances your students are going to take this info and run with it? My first question as an experienced educator is WHAT DOES THIS MEAN? 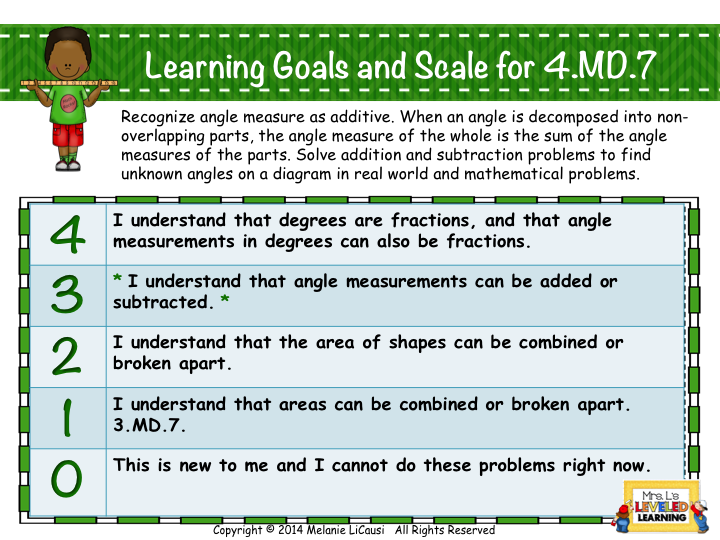 Creating my own kid-friendly scales was very time consuming, but it also significantly increased student engagement. The magic of Marzano’s scales is directly related to the student’s individual ability to recognize their own level of mastery, see where their going with it, and assess their progress along the way. If your kids can’t use scale to take ownership of their learning, then you’re just giving yourself one more job to do for them. You can’t do their learning for them, so give them a chance to do their own! 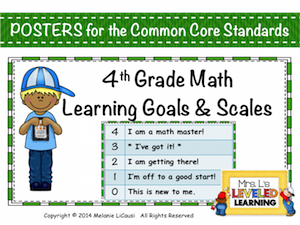 You can get a copy of my posters for Math (grades 1-8) and for ELA (grades 3-5…more coming soon!) by following the link below or above to my TpT Store. These pre-made posters have some editable templates so you can adjust the wording or standards to your own preferences. Click this link to see how the editable forms work.